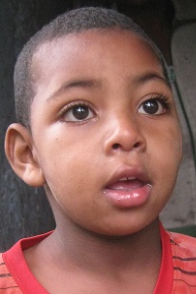 Besufekad is a shy, yet active four year old who has Autism Spectrum Disorder. Until recently, Besufekad was unable to speak or do anything for himself. Autism is a neurodevelopmental disorder characterized by impaired social interaction, verbal and non-verbal communication, and restricted and repetitive behavior. Parents usually notice signs in the first two years of their child’s life. Studies estimate that nearly one third of people with autism also have epilepsy. This is the case with Besufekad as he has been suffering with seizures. His parents have been trying to work with him and he is now able to feed himself and call out for them but it has always been a struggle as they don’t understand his order or how to get through to him. It took his parents many, many months but eventually they saved up the money to take him to a local doctor who diagnosed him with autism and epilepsy and told them that with proper care and medication, his health could improve. Unfortunately, they cannot afford to continue to take him to the doctor and provide that medicine and care. Besufekad is an only child living with his parents and is often seen running around wearing only a t-shirt. Both of Besufekad’s parents work as hard as they can for their family but it’s never enough. His mother sells berbere, a spice, at the local market and his father works full time as a guard. Between the two of them, they make around 700 birr a month or $35 USD. Almost half of this, $15 USD, goes to pay their rent. While his parents are working during the day, Besufekad’s eight year old cousin is his primary care giver and other adults on their compound periodically check in on them. Besufekad is a very active child and he has trouble concentrating on things for an extended period of time – he has a short attention span. He knows who his parents are and is able to communicate with them pretty effectively. He is comfortable around his cousin and his close neighbors but he becomes very shy and closed off when anyone he does not recognize is around. He will not play with or acknowledge any guests. While there is no cure for autism, the appropriate treatment and education has seen many children with autism spectrum disorder learn and develop. Early intervention often can reduce challenges associated with autism, lessen disruptive behavior, and provide some degree of independence. Besufekad is in desperate need of a sponsor so he can join the BCI program and begin receiving grain support and treatment – which will consist of therapy and medication. 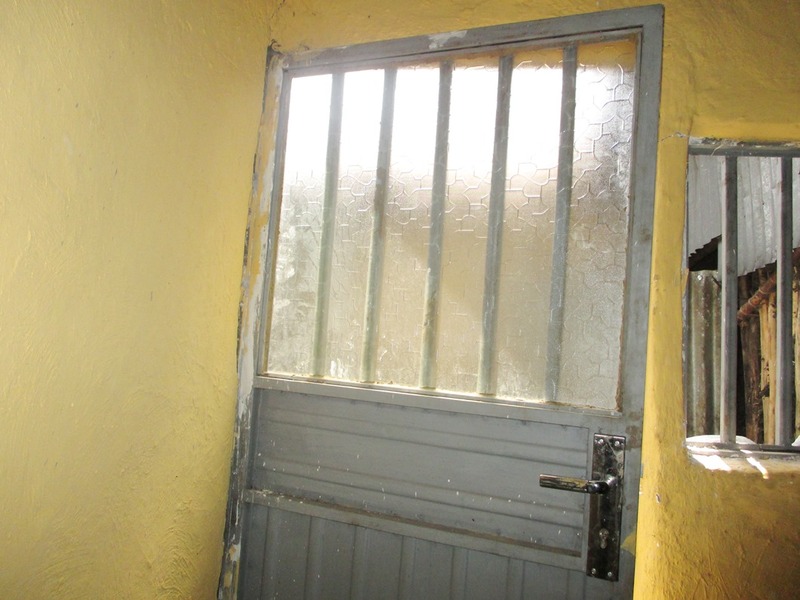 Besufekad is also urgently in need of clothes and a bed. The family’s small home contains one small mattress on the floor that the three of them share. 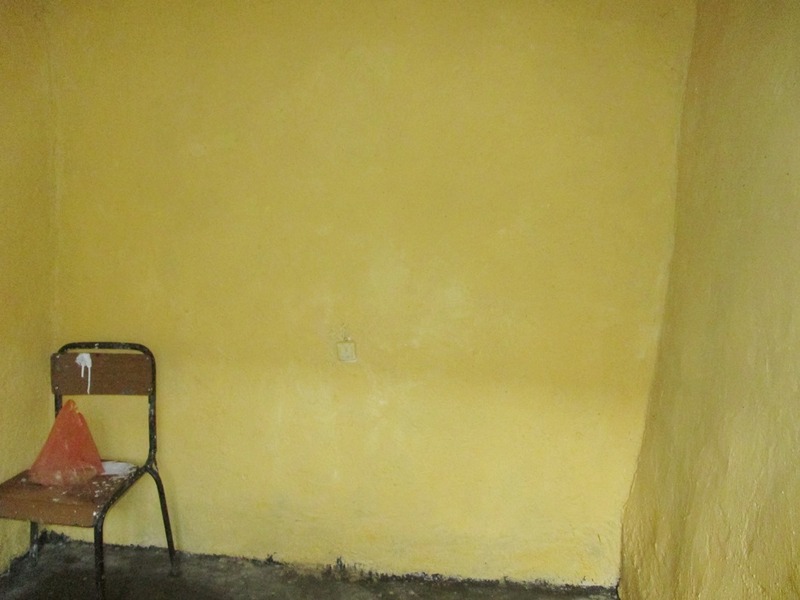 To provide Besufekad with a new bed and clothes, we need $440. 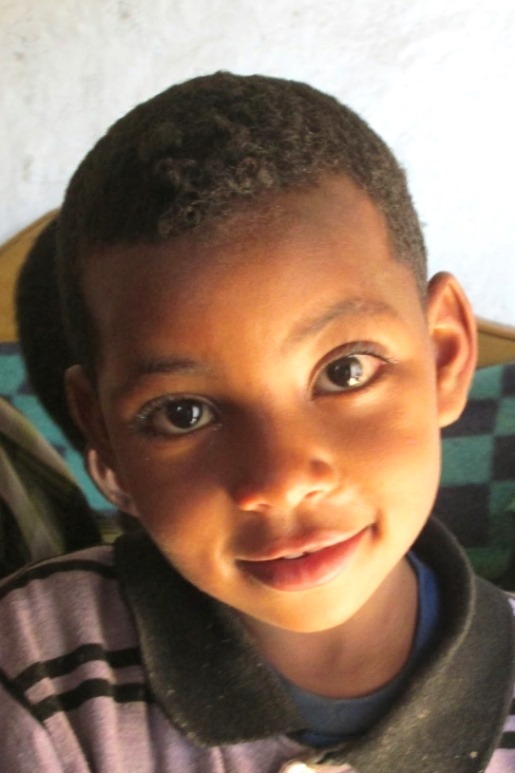 Can you or someone you know step up and offer this precious boy some treatment for his disorder through a sponsorship? Do you know someone you can share this need with? Perhaps you are able to make a one-time donation towards providing Besufekad a bed of his own or some clothes? Please help us get this need out so Besufekad can begin receiving treatment! Meheret Lakew is an 11 year old girl suffering from the devastating effects of meningitis. Because of Meheret’s disability and the difficulties that come with it, Meheret and her mother were being forced to leave their current home – which would have left them homeless. 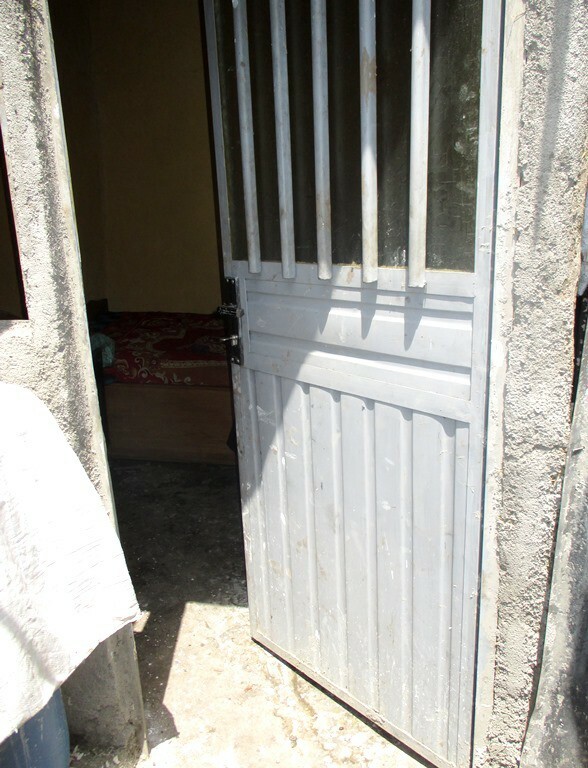 Thanks to the efforts and support of our generous donors, we were able to build Meheret and her mother a new home with electricity. 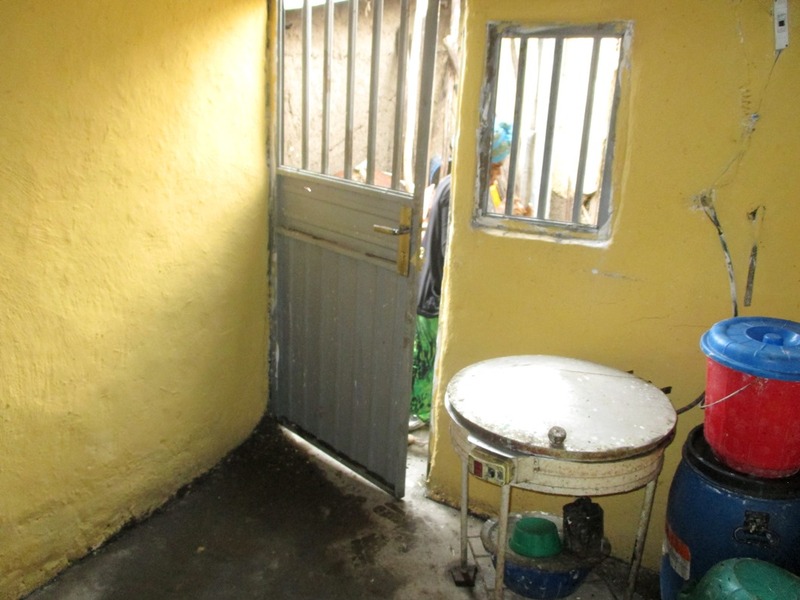 Their home was built with concrete, which makes it clean and easy to sanitize as Meheret is unable to use a toilet. We were also able to provide a bed and an injera cooker. This saves Meheret’s mom time and money by being able to cook it quickly at home with the electric top cooker. 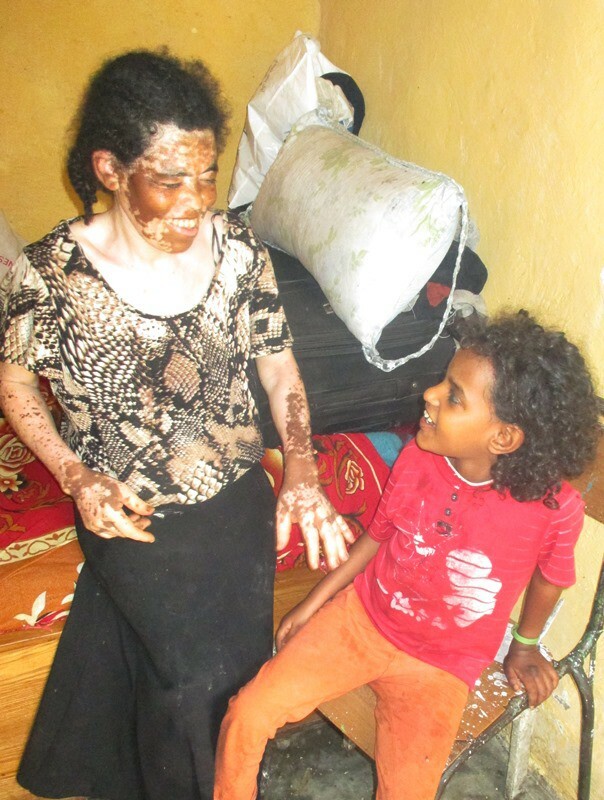 Shetaye, Meheret’s mother, no longer has to spend the money to purchase injera from the store or to fill the house with smoke making a fire to cook injera the traditional way. She is able to use the teff she gets for grain support and quickly make injera for herself and Meheret. 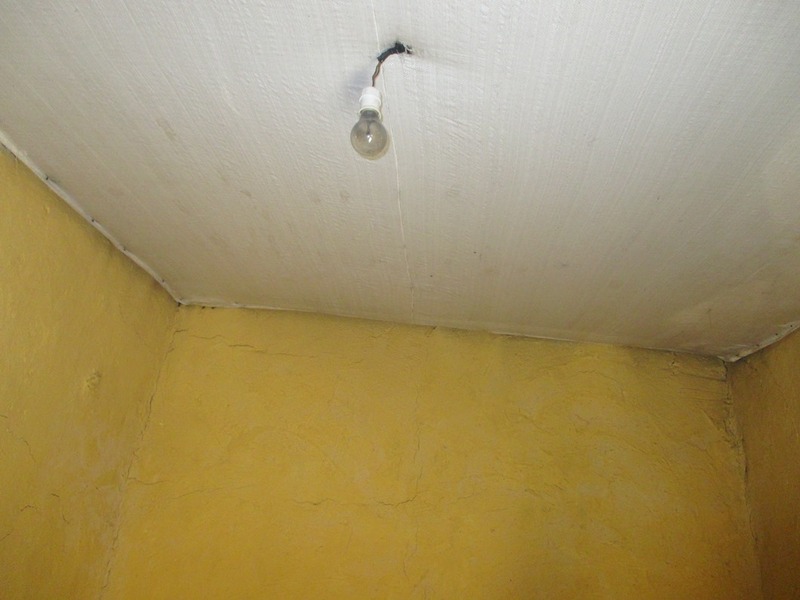 Finally, we painted Meheret’s new home a cheery yellow. 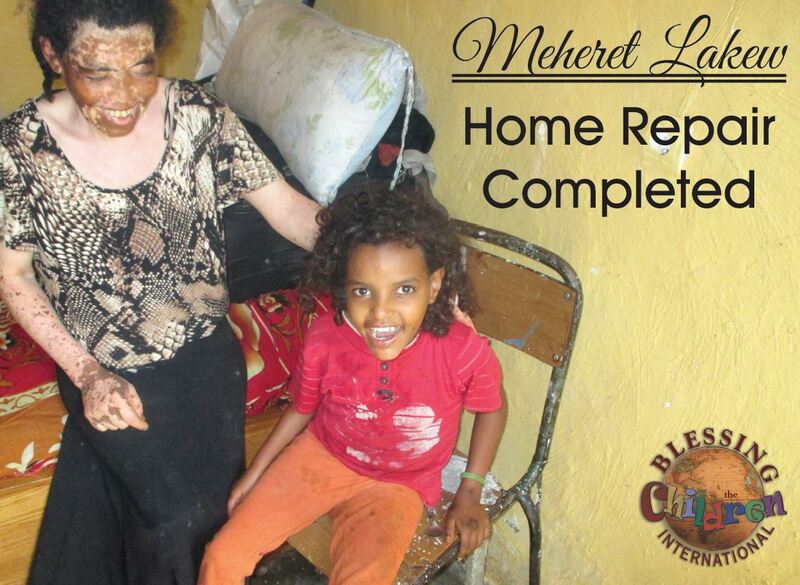 Meheret loves to smile and we wanted her home to be as bright as she is.